This is an extremely odd sign — that disembodied hand! 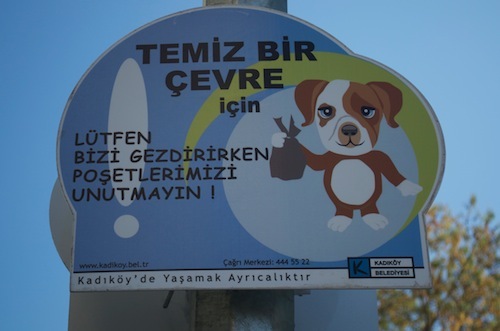 the beheaded dog! the slug reclining in the pan, unaware that he’s about to be pooped on! 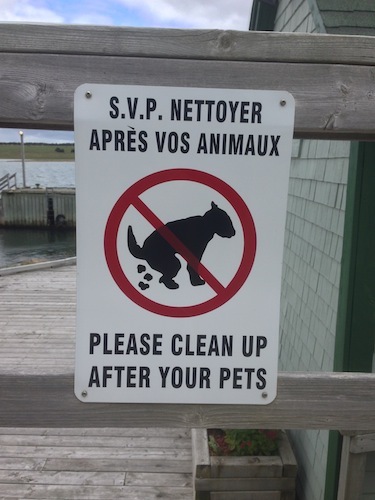 This sign is from Acadie, still (obviously) in the French-speaking part of the province. I admire the effort to capture the actual moment of pooping, but I have to say that that creature really looks more like a giant squirrel than a dog. 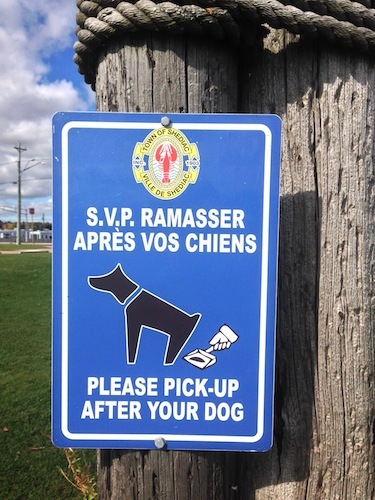 Seemingly straightforward, but note how the dog’s leash ends, spookily, in mid-air — and are the words “after pets” really necessary? This sign is from the interpretive center at Washington’s Ginkgo Petrifed Forest State Park, which is a little odd because the last time you saw this one-armed variation on what’s usually a two-armed humanoid preparing to pick up poop with a hoe, it was telling you that the trails at Mt. Rainier (a national park) are not dog-friendly. 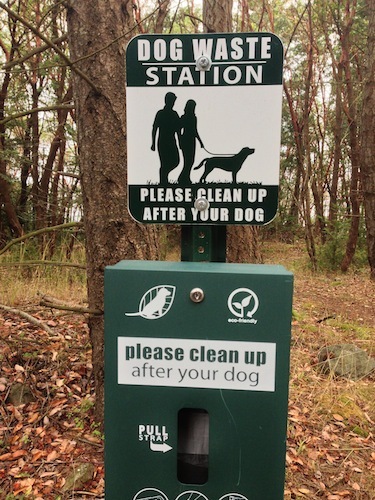 The sign, therefore, just means the area around the interpretive center is okay for leashed dogs to investigate — and the “scoop law” part of the message is conveyed by the presence of the poop bag dispenser. I wind up with a gem of a sign, this time from Paris’s Jardins du Ranelagh, which we walked through on our way to the Musée Marmottan (home of a really delicious collection of Monet paintings, far from the hurdy-gurdy of the Musée d’Orsay). I love this one not only because — for once! — leashed dogs are allowed in a Paris park (and it’s a very pretty one) but also because I share that dog’s fascination with what his owner is doing back there behind him. He’s using — well, what is he using? — a length of bent wire to maneuver three pieces of poop at once into a plastic grocery sack. No wonder he’s dropped his dog’s leash — he’s got no attention to spare for anything else. Thank you so much for sending me these! 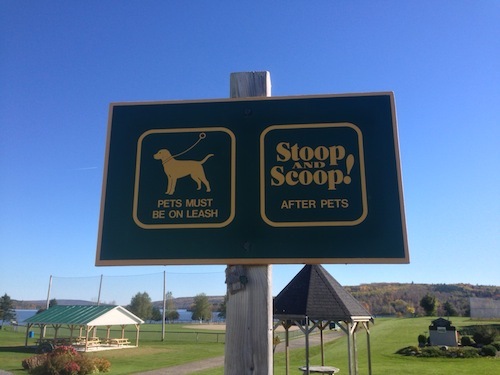 I’m adding this post to Dog Jaunt’s scoop law sign collection — to see others, click on the “scoop law” tag below this post, or type “scoop law” in the search bone. I should add that the “Stoop & Scoop” sign near Fredericton is also just steps away from the World’s Largest Axe. So put that in your pipe and…er…scoop it.